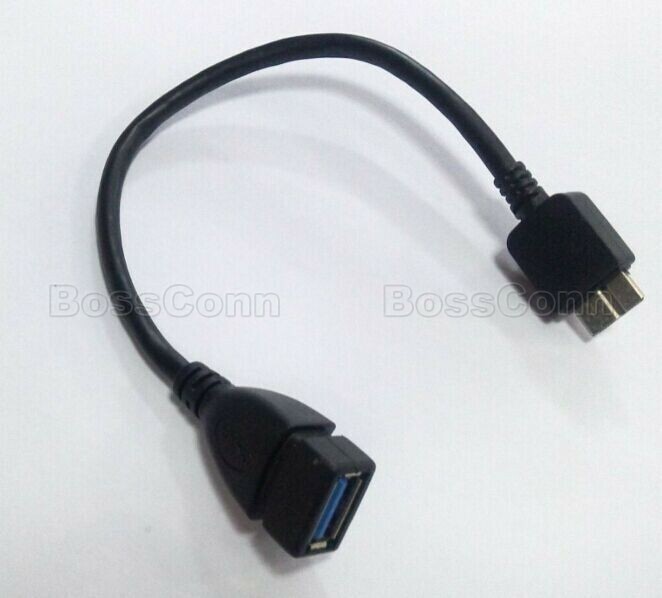 OTG USB 3.0 A Type Female to USB 3.0 Micro B Male cable. Offers a throughput of up to 4.8Gbps when used with a USB 3.0 host and device, an astounding 10x the capability of USB 2.0 (480Mbps). Cable Spec: 26/28AWG standard usb 3.0 cable. Can work for Samsung Mobile. Also Can work for Micro USB 3.0 type hard disk case, SSD.